Rihanna and her Fenty Beauty line shook the cosmetic world when she came out with her boundary-breaking range of 50 shades of foundation. 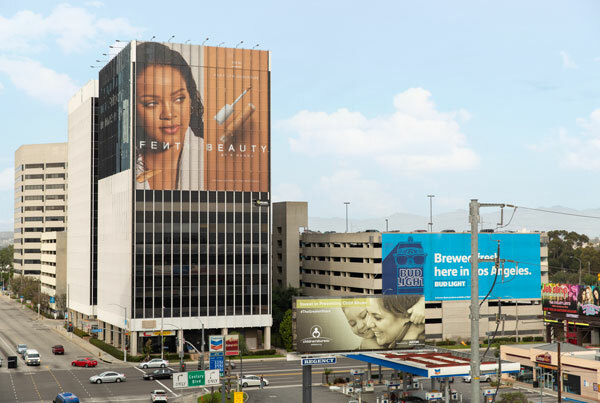 She’s done it again with the Pro Filt’r Retouch Concealers and is using our 405 tower at 6,500 sq ft to let all of Los Angeles know! A girl with a mysterious past. A reporter haunted by the case that undid him. This new series follows along on a sinister trail through Hollywood’s darkest debauchery. 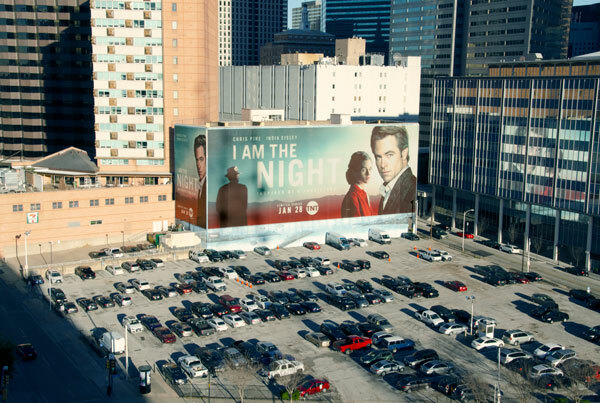 But here in Dallas it sits as a massive 13,000 sq ft reminder to tune in and catch the premiere Jan 28th. America’s most convenient bank gives you everything you’d expect from a bank. Plus everything you wouldn’t! 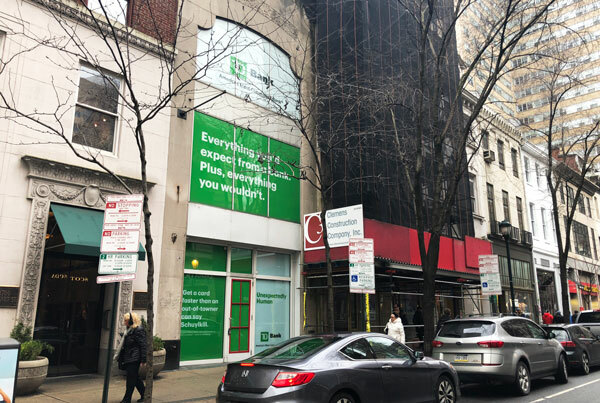 This three-story storefront in Philly let’s you know how easy it is to replace your debit card when you lose it! First we showed you them in Chelsea Market. 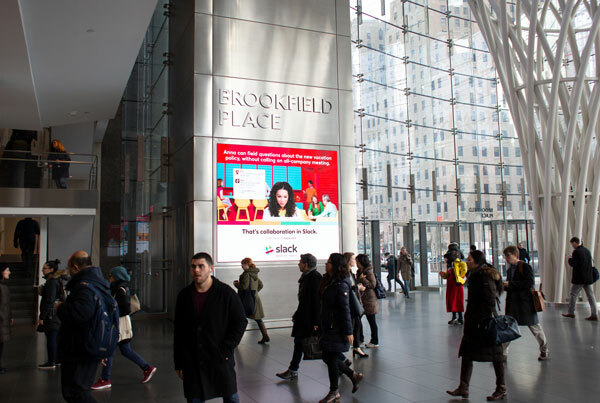 Slack knows where work happens…..which is why they’ve now also selected our comprehensive digital network at Brookfield Place to reach their target audience. Nearly 1 million collaborators being reminded each day that Slack is where they need to go to get things done! 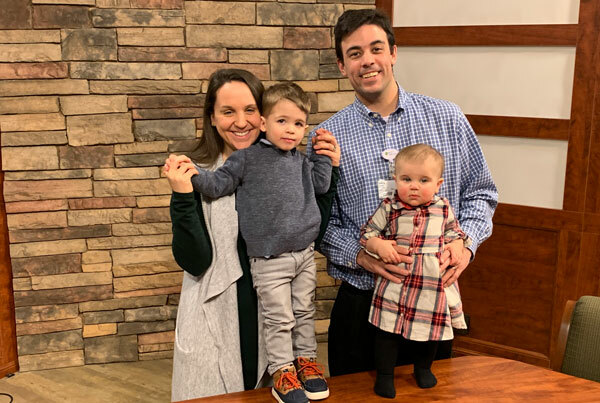 Larry joins us as our new Digital Content Manager. Coming to Pearl with a wealth of experience and an enthusiasm to contribute to the growth and performance of our digital networks – we’re just wondering if he’ll consume as much trail mix as Patrick did?? Welcome to the team Larry!! !